Raincoat Roofing has helped multiple businesses of industry for 30 plus years. 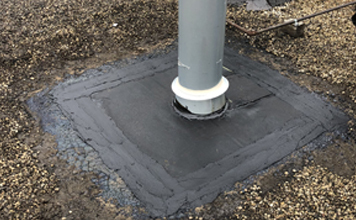 Maintaining buildings that are made for food manufacturing to plastic mold injections, storing industrial grade materials to manufacturing raw steel; we have solved some of the biggest head aches and alleviated the simplest of issues. 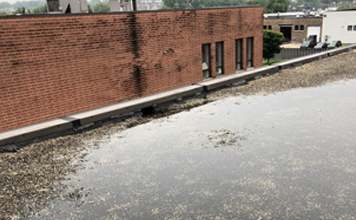 We realize that any loss of time of is loss of business, and it is our priority to keep your roof water tight the second we step foot on sight. 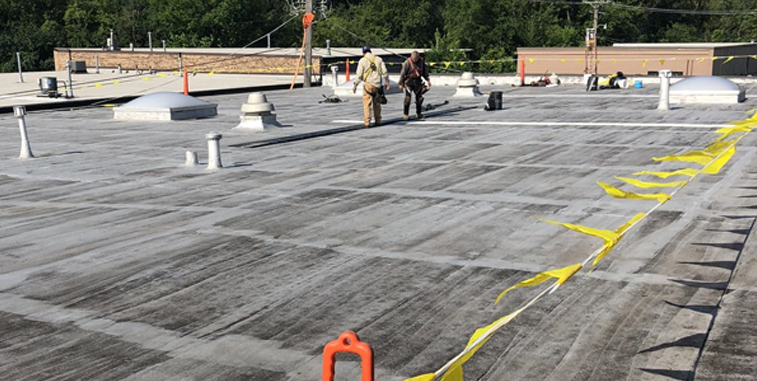 Raincoat Roofing has proven themselves to be a known problem solver in any roofing situation, especially when it comes to your production and interior conditions. No matter what time of day, or what time of year, Raincoat Roofing is ready to handle any roof emergency you may encounter. Leaks can occur directly over a production line or happen during a board meeting in the front office at the worst possible time, more than likely when you are in a pinch. 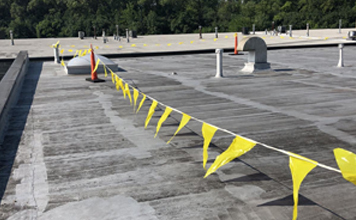 Raincoat Roofing is ready to make sure your business does not lose time and money because of an unwanted leak or cascading water causing more harm than your business needs. Each section of your business, whether it be creating specific tools for machined parts necessary to operate bigger machines or following your food production line from the start phase to finish, your roof plays an overwhelming part in maintaining positive air conditioning, ventilation, and air quality. 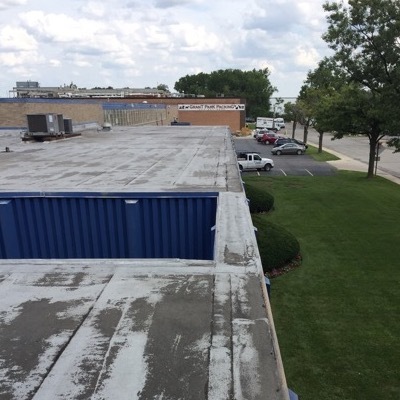 Raincoat Roofing can provide the best roof for your business, with the best materials that are unique to your industrial or manufacturing needs. Your roof is not just an investment in your business’s portfolio, but it also is an investment in your employees, your ability to production, and your quarterly profits. Missing a simple repair on a roof can cause you to lose time and money. One small detail that fails continuously and goes unnoticed for days, or months, on end may result in thousands of dollars of damages. Raincoat Roofing fixes all types of repairs, on any type of roof, under any circumstances. This could mean the difference of filling an order for your best client to having to stop production because of the problem reaches its breaking point. Raincoat Roofing will help detect, timely and with integrity to provide all your repair needs. Each business is unique, providing products and services to all ends of the Earth. Raincoat Roofing has your customized maintenance plan waiting for you, maintaining buildings of all industry and manufacturing types, and of all size and scope. 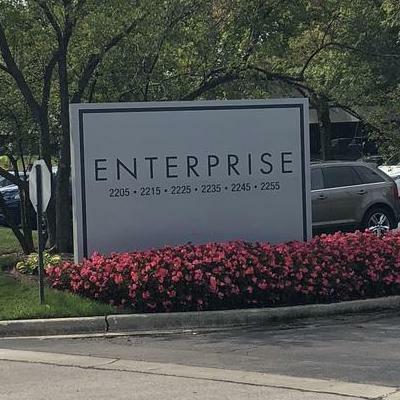 We understand that your business needs to be operating at full capacity, while some are specific to seasons and others need to be moving 365 days of the year. Our Bi-Annual inspection plans provide you lasting peace, knowing that our 13 checkpoint system keeps you water tight and ready for the seasonal changes ahead. A company committed to quality, professionalism, reliability and responsiveness which takes real pride in their work. 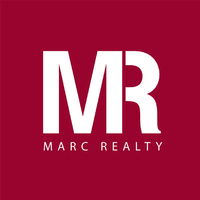 Jeff Suess’ relationship with Marc Reality has brought us all over the great city of Chicago. 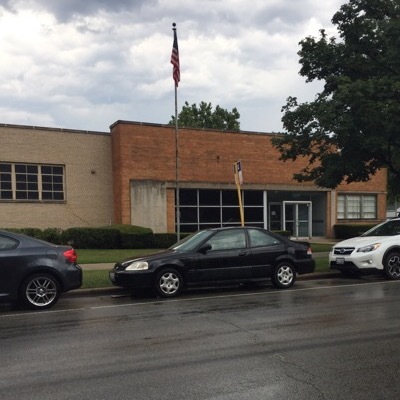 The business park located in Westchester has 6 buildings from the North end to the South end. Jeff Suess began his relationship with Industrial Steel and Wire years ago in the early 2000’s. 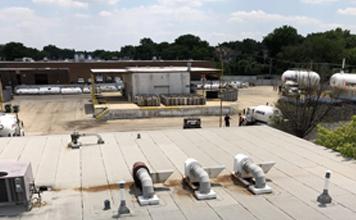 Raincoat Roofing has provided multiple years of service to Industrial Steel and Wire, from a full install of a new single ply Durolast system to providing repairs over several areas of a warehouse. Jeff Suess began working with Mercury Plastics, INC in 1984. First being brought in to provide some repair costs and budgeting for a section of roof replacement. 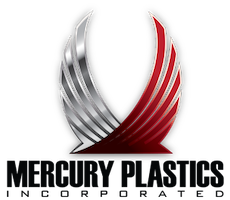 Mercury Plastics has since been a long - lasting relationship, and unique at that, because of the total amount of roofing needed to cover the expansive industrial business.